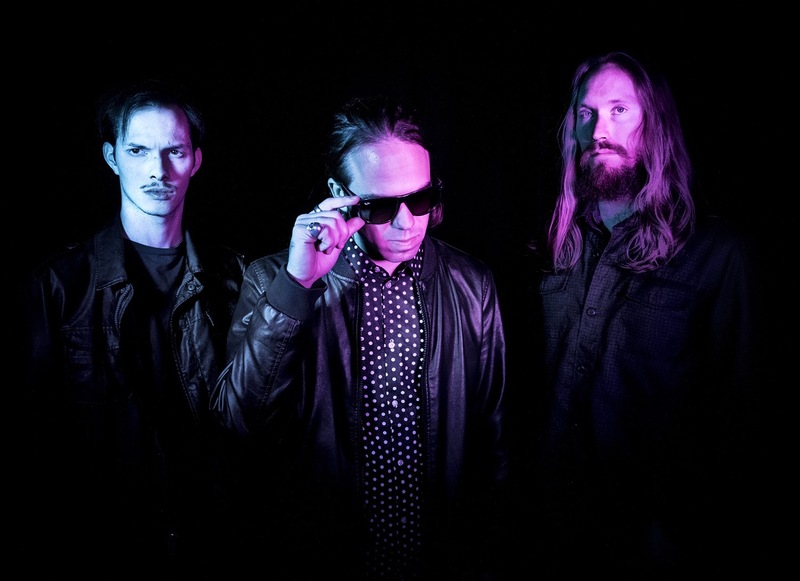 Nashville’s Omega Swan recently released a new track, “What’s Ur Damage?.” The trio is comprised of Marcus Garceau (guitar, vocals, synthesizers), Will Burgess (bass) and Aaron Westine (drums). The new track features futuristic qualities paired with rock vocals. This spring, the band has been competing for a chance to perform at this year’s Bonnaroo festival. Learn more about Omega Swan from their responses and be sure to check out “Autonation” and “What’s Ur Damage?”. What is the story/meaning behind the name, Omega Swan? Similar to the ugly duckling, the Omega Swan is the unexpected hero. Watching films. We are big horror fans…The Devil’s Candy is a recent favorite. We highly recommend it. Aaron exclusively eats farm-grown all natural food from Farmer Todd, so Aaron. We like to refer to it as training, and we train like athletes these days… a lot. It varies from song to song, but overall it’s quite a collaborative process. We typically start with a riff or lyric idea, and I (Marcus) will spend time in solitude structuring and re-structuring the song like a puzzle until it flows. Then we’ll take it into the shed together and hash out each section, transition, and the arrangement. We record everything in rehearsal and will spend time listening back and analyzing each part of the song until it feels right. Can you talk about the inspiration behind the new track, “What’s Ur Damage?”? The song was inspired by a dream sequence in S02 of Mr. Robot where Darlene asks Elliot “What’s your damage?”, a reference to the 80’s film Heathers. Both Mr. Robot and Heathers feature Christian Slater as a main character, which is the connection there and probably how that phrase got pulled into. I thought the phrase had a lot of attitude, and I hadn’t heard it before. It sounded like a song title to me….and here we are. Nashville looks good on you guys. How has your sound evolved? These days we’re more focused on writing songs, and making records. We’ve learned a lot over the years, and really found ourselves in the studio. That’s our focus now, and as our records improve, our live show takes leaps and bounds as well. How is your new material different from previous releases? I describe it like this – when you have a vision, at first, it’s almost as if the vision is an object standing far off in the fog. As you take steps closer to the object – by spending time on your craft, training, digging in – the object becomes clearer and clearer…the vision becomes more realized. What we are doing now is a much more developed version of the vision we’ve had for this band since its beginning. Hearing our songs on TV was cool. Overall, the fact that songs keep coming to us is a huge reward in itself….some people don’t have an outlet like we do. I consider that the biggest reward. We’re playing with an incredible band, Goodbye June, at their album release show on May 5th at the Basement East in Nashville. I’ve had a chance to hear the album, and it’s balls to the wall Rock n’ Roll. Keep an eye out for that one – it’s fantastic. Say My Name – Destiny’s Child…or What a Girl Wants Xtina. We listen to the same Brian Eno song on repeat in-between training sessions. It’s called Thursday Afternoon…. What can we expect from Omega Swan in 2017? This entry was posted in Interviews, Uncategorized and tagged autonation, band interview, interview, nashville, nashville band, nashville music, omega swan, omega swan band interview, omega swan interview, what's ur damage. Bookmark the permalink.